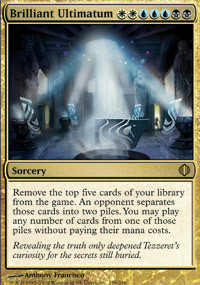 card text: Remove the top five cards of your library from the game. An opponent separates those cards into two piles. You may play any number of cards from one of those piles without paying their mana costs.